Absolutely, in fact, we recommend it. After all, the funeral is a celebration of life. Funeral directors are happy to discuss all options and ensure your funeral is tailored to your wishes. It may be personalized in many unique ways. Contact us at (518) 489-0188 to explore the possibilities. We are available 24 hours a day, seven days a week. All you need to do is place a call to us at (518) 489-0188. If you request immediate assistance, one of our professionals will be there within the hour. If the family wishes to spend a short time with the deceased to say good bye, it's acceptable. Then they will come when your time is right. Funerals can cost as little as $2565.00 for a direct disposition. 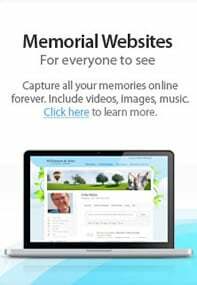 (Direct disposition includes registering the death, a basic casket or container, and transporting the deceased to a cemetery or crematorium) For an adult funeral, consumers can expect a price range between $2565.00 and $12,995.00. This could include some or all of our professional services, including transfer-of remains, embalming, and other preparation; use of viewing facilities and the facilities for the ceremony; hearse, limousine, and the purchase of a casket and outer interment receptacle. Other than the family, there may be veteran, union, and other organizational benefits to pay for funerals. Most funeral directors are aware of the various benefits and know how to obtain them for the indigent. However, funeral directors often absorb costs above and beyond what is provided by agencies to insure the deceased a respectable burial. In most instances the answer is Yes. However, in the Capital District all cremation facilities are operated by third parties, and are located off-site from your funeral home (in fact, almost all crematory facilities are located on cemetery grounds) so you would confirm with the crematory selected that their policy allows for your request. But most cremation facilities are set up to allow family members to be present when the body is placed into the cremation chamber. In fact, some religious groups include this as part of their funeral custom. Mausoleum crypts are both clean and dry. They offer a viable alternative for those who simply have an aversion of being interred in the ground. However, Mausoleum's are just buildings. And no building stands forever. So the prudent questions to ask revolve around the how the building will be cared for over the decades, and do you have faith in that operator's ability to carry out those promises over the millenium's?